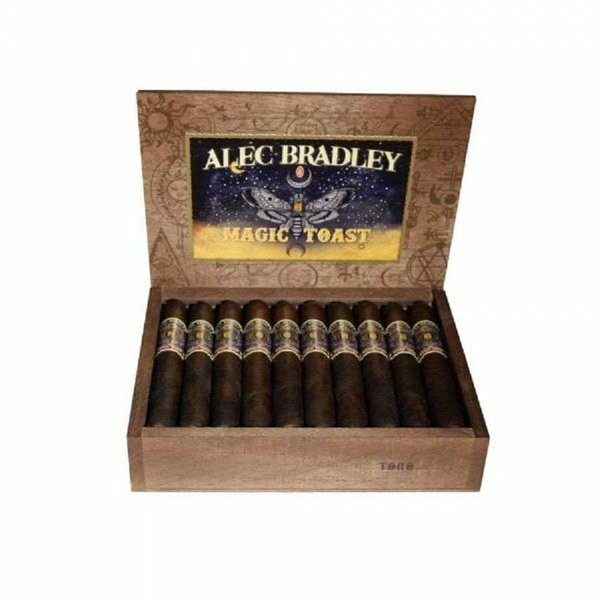 Introduced at the 2018 IPCPR, this new edition from Alec Bradley hits all the right notes. The brand new Magic Toast is highlighted by it's dark Honduran wrapper. As with many Alec Bradley cigars, the Magic Toast utilizes two binders – one from Honduras and one from Nicaragua. The lush long-fillers used are also from Honduras and Nicaragua. The flavor profile of this toro is pretty much consistent, using a foundation of coffee and earthy notes with a nice balance provided by sweet notes of Bing cherry and some peppery spice. The little extra strength and body that is put into the mix gives Alex Bradley a winner here!